Arzu Topcu Civak, An energetic hotelier with 20 years of successful management and leadership experience; recognized by her strong work ethics, hands-on and lead by example management approach and her passion for success. In 1998, entrepreneur Jack Penrod introduced the world to Nikki Beach, the first and original luxury beach club concept that combines elements of Music, Dining, Entertainment, Fashion, Art and Film. 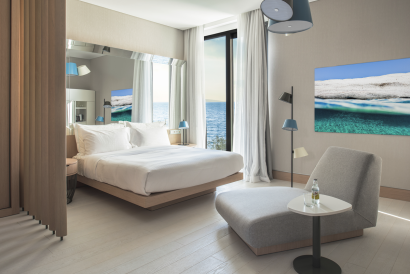 Today, the Nikki Beach concept has evolved into a global, multifaceted luxury lifestyle and hospitality brand comprising, among various, a Hotels & Resorts Division. Nikki Beach Resort & Spa Bodrum is a luxury, lifestyle beachfront boutique hotel on the southwestern coast of Turkey. The contemporary property features 76 suites and villas. In-room amenities include indoor and outdoor bathrooms, entertainment walls, panoramic sea views and private pools, patios and decks. 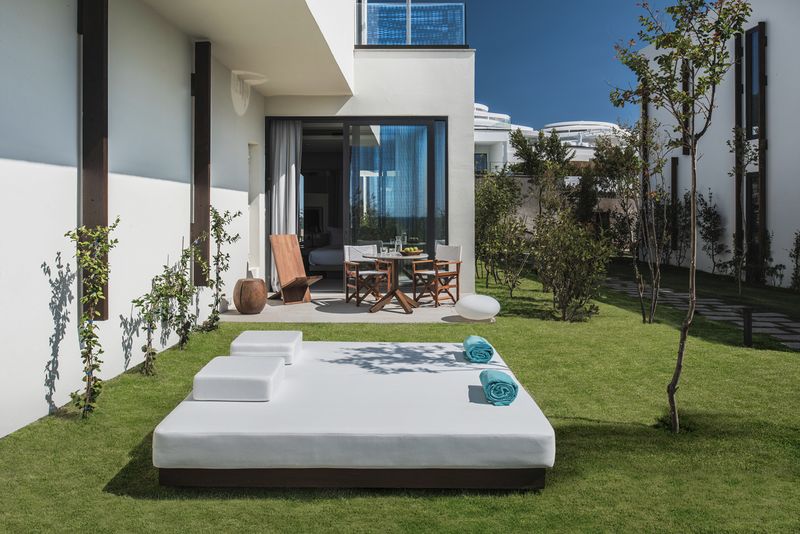 Designed to blend into its natural surroundings, the property utilizes modern elements to define Nikki Beach’s sleek look, with a nod to local aesthetics and materials. Among the hotel’s remarkable offerings, guests can enjoy pontoons and decks built into the sea, a rooftop relaxing pool area and expansive Nikki Spa and Tone Gym fitness facilities. Dining and cocktail options include Nikki Beach Restaurant and Beach Club,Rooftop. 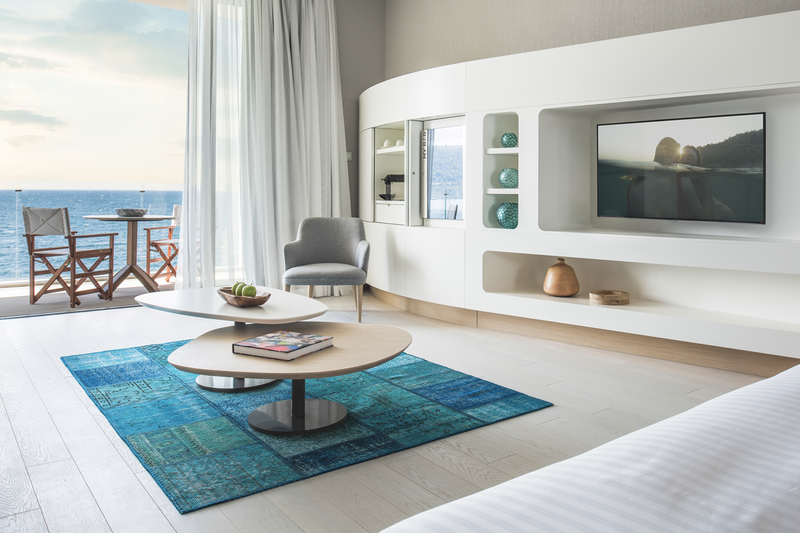 Nikki Beach Resort & Spa’s philosophy blends high and low energy levels, creating environments that provide the ultimate entertainment, indulgence and relaxation. The goal is to make each experience a personal journey. Since it the hotel has been built in 2016, the building is quiet new and it does not need any renovation yet. 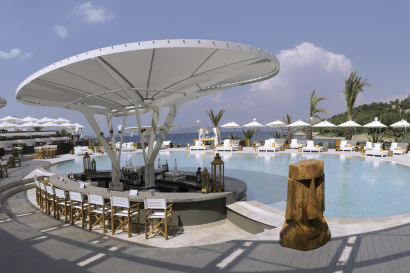 Luxury & Lifestyle hotel: choice of beach club, Music and entertainment. 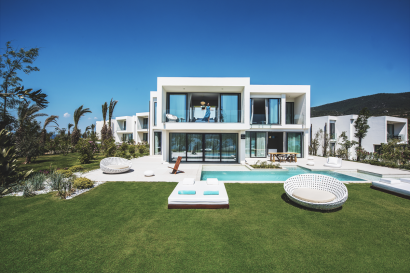 Unique Lifestyle villa with private entertainment space. 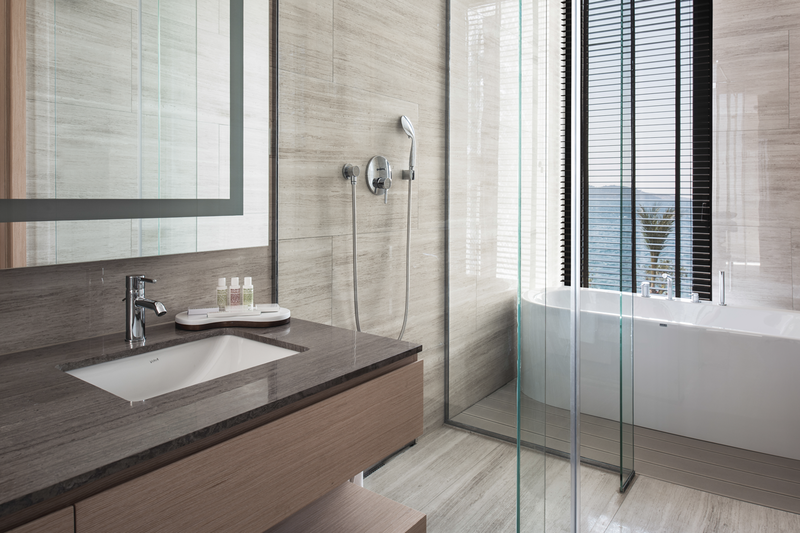 Room Design & Architecture: sea views/ light/ high ceilings. Room Facilities: VDA, Entertainment Wall. 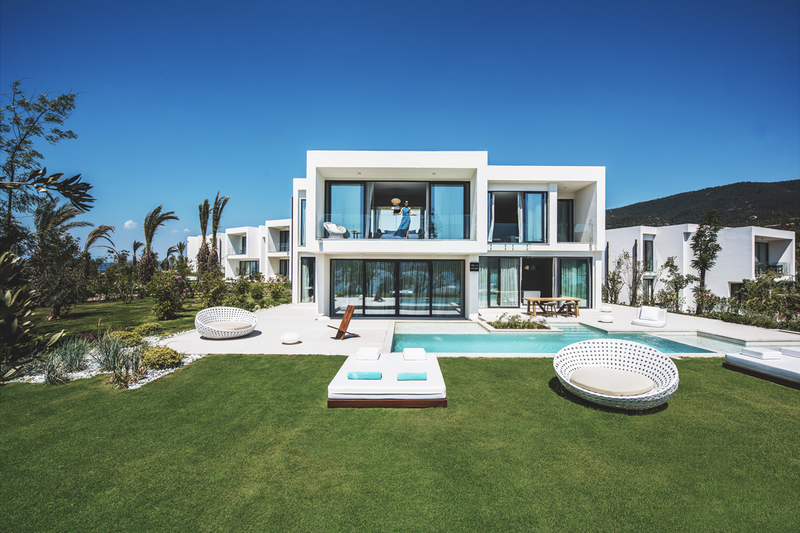 Lifestyle Villa and Lounge for private parties. Close proximity to airport, accessibly by Sea, via Torba Bay. The Bodrum peninsula is a summer playground for all types of holiday makers. 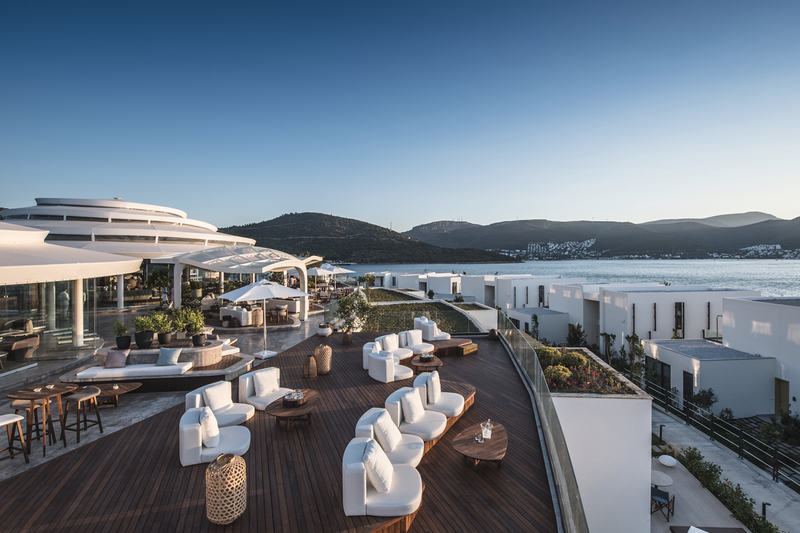 Referred to by many Turks as the Saint Tropez of Turkey, this cosmopolitan destination is serviced by a number of international airlines and houses some of the best resorts, restaurants and clubs in the country. 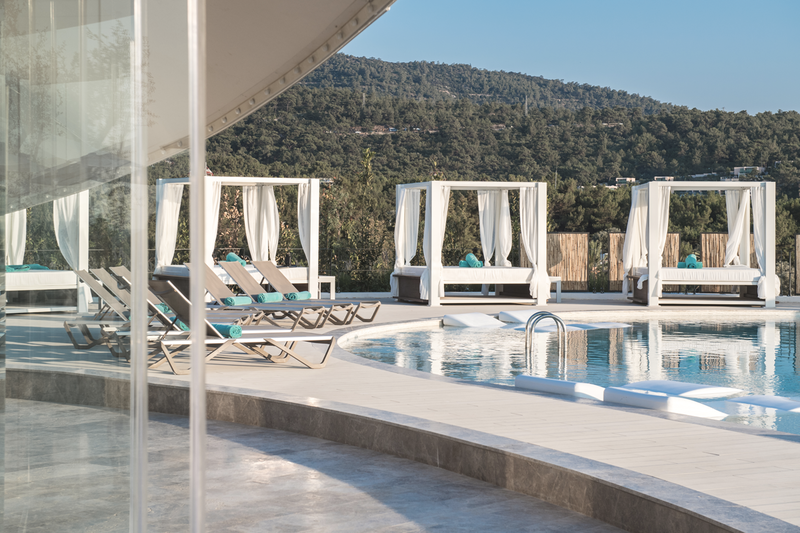 The resort is situated in the Torba region. Just 28km from the airport, an ideal location for holiday makers seeking a great sea front vacation with easy access to the main town of Bodrum and access routes which lead various tourist hot spots. 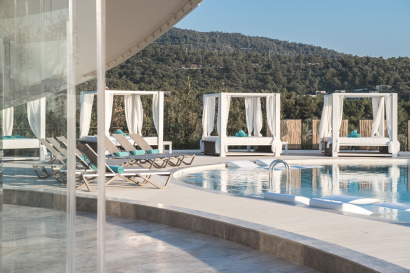 ‘We understand that a holiday is only a holiday if everyone has a break, that’s why offer fun filled children’s facilities and activities so that the adults can relax while the children play’. 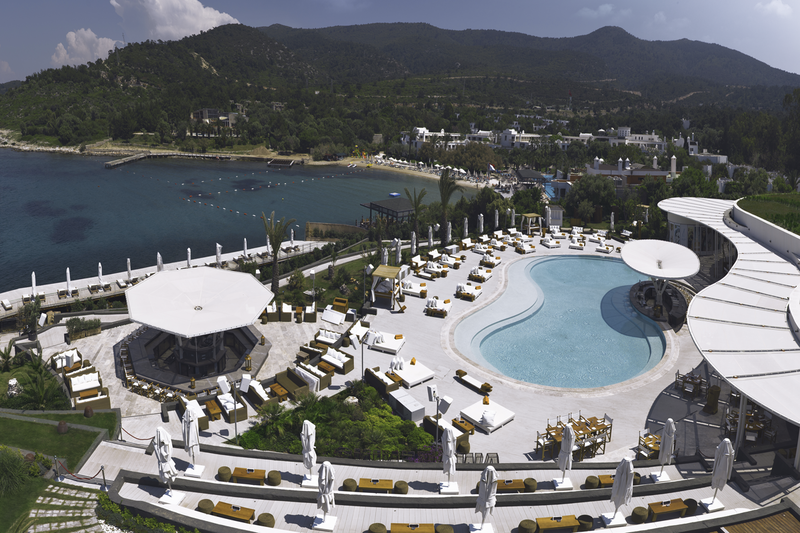 GYMY KIDS hosts their ‘Summer School’ at Nikki Beach Resort & Spa Bodrum from June onwards. Art, Fun, Sports activities for kids aged 4 to 12. Morning session starts in Tone Gym Studio, activities will take place around the resort, gardens. Activities include Mini Yoga, gardening, drawing and many other fun things. The Restaurant & Beach Club serves globally-inspired cuisine, with the tastes and spices representative of all the countries Nikki Beach is located in across the world, including healthful salads, creative sushi rolls, freshly caught seafood entrees and slow-roasted free-range rotisserie chicken. 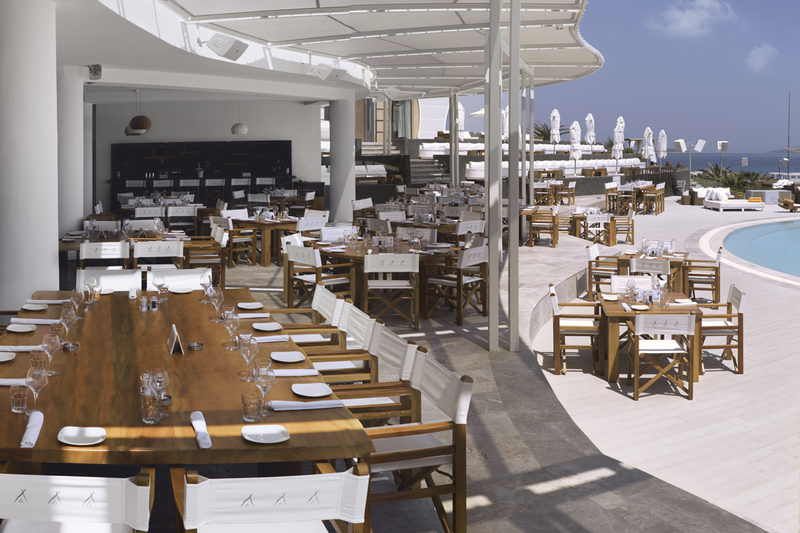 Guests are able to enjoy Nikki Beach hospitality from day to night. The ultimate insider Rooftop destination in the evening, accentuated by panoramic views of Torba Bay and the Aegean Sea, expect an eclectic combination of ambient chatter and soulful vibes until late in the evening at the Rooftop dining concept at Nikki Beach Resort & Spa Bodrum.Along with the signature concept of entertainment and dining that Nikki Beach is known for, the culinary experiences at the Rooftop dining venues are inspired from fresh seafood and palate of the Aegean and the spices of the region, featuringlocally sourced ingredients and farms, to create the perfect blend of flavors. A dining experience for the style seekers, the adventurers, the fun loving and the all-natural, is known for its responsibly sourced fresh ingredients. Nikki Spa offers a world of wellness and tranquility, where all your senses come to play. The Nikki Spa philosophy blends high and low energy levels, offering an exclusive approach to wellbeing and health. At Nikki Spa, we create environments that provide the ultimate indulgence and relaxation, with the aim to make each experience a personal journey. 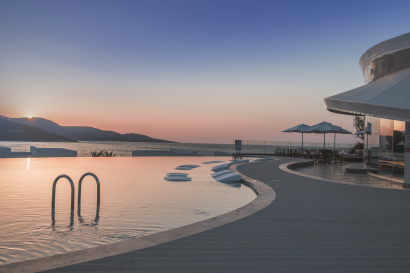 Rooftop Pool:Featuring an infinity-edge pool with one of the best views of the Aegean Sea and the magnificent sunset every afternoon. Plush sunbeds line the pool deck, complemented by sunken loungers. Wade in the pool, work on your tan or sip a cocktail. Tone GYM:Bring your party mood from Nikki Beach and enhance your overall health, fitness and wellbeing at Tone Gym. Whether you’re a workout enthusiast or are just looking for a way to liven up after a lazy day on the beach, visit the state-of-the-art facility, equipped with TechnoGym cardiovascular and strength machines. Personal trainers are on hand to help you prepare for sporting events, specific goals or assistance with the creationof a life-changing fitness routine. 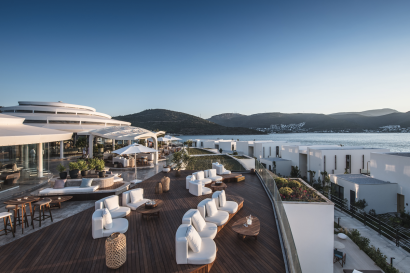 Nikki Beach Resort & Spa Bodrum has been awarded with Stylish Luxury Hotel Of The Year by European Awards in 2018 ,a special program that recognizes luxury hotel brands around the world. 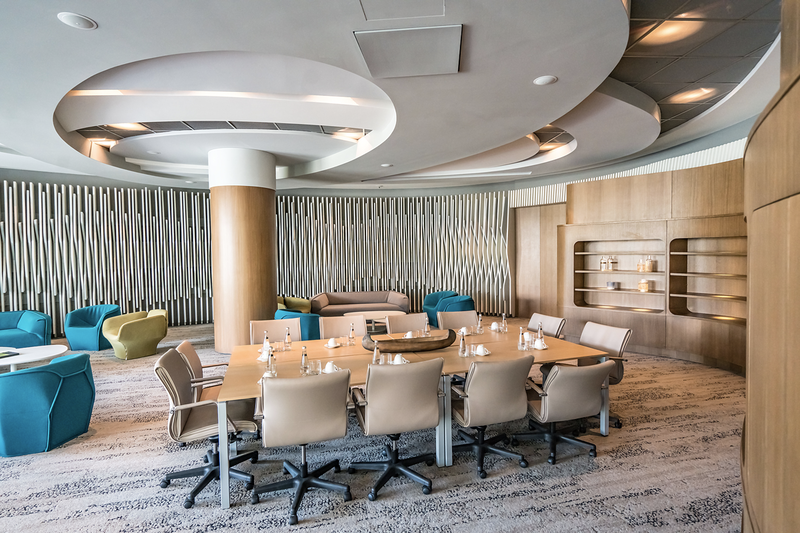 Best Suite Hotel in Turkey by Haute Grandeur Global Excellence Awards, 2018.